You must have had some great and delicious egg salads and wondered if you had an egg salad recipe that would make people speak it out. Today I am going to tell you how to make an egg salad and not just an ordinary one that anyone can make, but I will be sharing the best egg salad recipe with you. The simple egg salad recipe is well known; you hard boil some eggs, mash them, chop some cucumber and onions and mix them all together, add Mayonnaise salt and pepper according to your taste and WALA! Your egg salad is ready. But following hacks on how to make egg salad will change a simple recipe to the best egg salad recipe there is. I will be sharing the additional ingredients required at the right place. It normally takes 4 to 5 full boiled eggs to make an average sized bowl of egg salad. What you need to care about is how the eggs should not be half boiled else the semi fluid egg yolk will mess up the feel it gives. 10 – 12 minutes are more than enough to make sure they are full boiled. Next on how to make egg salad is mashing the eggs right. Some like chopping where big chunks of eggs are easily distinguishable from other ingredients. The purpose is not to tell that your egg salad recipe has some eggs in it but to give a taste of every bit if ingredient you added. You need to mash them real fine with the help of fork such that yolk and white are uniformly mixed and white cannot be separated from yolk. Cucumbers don’t normally fall into the necessary ingredients on how to make egg salad and people simply use onion alone. But I have never experienced an egg salad giving a great vibe and taste without cucumber. Simply peal, and chop some cucumber into small cubes. Do the same to the Onions and mix them together. We are not mixing them with the mashed eggs yet. And you will know why on how to make egg salad shortly. Salt and pepper are to be added according to taste. For an average size bowl, quarter a teaspoon is enough of both, but again I don’t take much of salt and you can add more if you like. It is easier to mix salt and pepper uniformly if you add them to the chopped cucumber and onions. Put them in a separate bowl, add salt and pepper according to taste, cover the bowl with a plate and shake well unless salt and pepper are uniformly mixed. No egg salad recipe lacks Mayonnaise and you would carefully control the amount of Mayonnaise used if you have some idea on How to make egg salad. The amount of Mayonnaise can be varied and it all depends on your likeness, but be careful if you are going to serve it to others, for people might judge your egg salad recipe if any of the ingredients is in not in proportional. The amount of Mayonnaise cannot be so high that it defies the purpose of egg salad yet it can be high enough that the taste of Mayonnaise is prominent. This also is to be added to the chopped cucumber and onions, but this time mix it with a spoon or if you like to mix things with your hands obviously with gloves on. Normally people would add other ingredients to the eggs, but it is more convenient and better for taste that eggs are added in the end or may be later in the process on how to make egg salad. Once everything is mixed appropriately into the chopped cucumber and onions add the mashed eggs and again mix the almost complete egg salad with a spoon or hands. When it comes to mixing things not so fluid hands are the best tool, all you need to be careful about is how they should be clean, or you can use some gloves used for this same purpose. Although cucumber is great for the crunch you can add some cereal to it as well. The best egg salad recipe does not compromise on crunchiness. What to keep in mind is that the proportions don’t get carried away, such that all your salad is about crunch and vegetables and no egg. So far so good on how to make egg salad, and indeed it is ready to serve but what would it cost if we add a twist to it that everyone who tastes it asks you about your egg salad recipe. 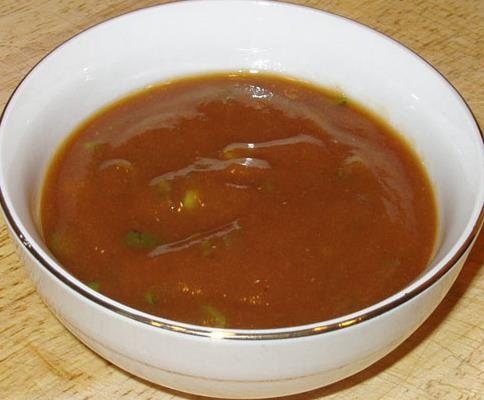 Tamarind and Garlic Sauce are extremely pleasant twist and serve the purpose quite well. Before adding them you need to taste your salad to see if everything tastes perfect. Add more salt or Mayonnaise if needed, and then top the salad with fresh Tamarind and/or Garlic Sauce. The salad is probably hot because of the heat of the eggs, but this is a dish best served cold. Put the salad in the refrigerator for 20-30 minutes for everything to embrace each other. And when you take it out, it would not be like different ingredients put together but instead the best egg salad recipe ready to launch. And that is how to make egg salad. Now that you have the egg salad ready, what better way to serve it than in the form of a sandwich? Just make sure the bread or buns are fresh, and I bet you know how to make a tasty bulky mouthwatering sandwich with the best egg salad you just made. Enjoy the appreciation! Eggs should be hard boiled approximately 10-12 minutes. Cucumber onion and eggs all should be uniformly chopped. Mixing should very uniform that it all appears homogenous. Don’t use excessive Mayonnaise as it can easily be added later according to flavor requirement it won’t change anything about the egg salad recipe. Bread used for sandwiches should be fresh otherwise it may overshadow your best egg salad recipe. Don’t forget to tell others how to make egg salad.